It’s that time of year again…. CORN SEASON! They are on sale at the grocery store this week for 19 cents each. For me, that means 8 ears of corn for less than $2! And are they ever good right now. They are so sweet and tender, you can eat them as is. Raw, without even cooking it, they taste like heaven! Needless to say, I have been back at the store three times already. We’ve been eating corn almost everyday! The first batch, we simply boiled on the cob. The next two batches, we made creamed corn. The second batch of creamed corn was made because the first was so darn good, the pot was gone in one sitting and there’s only 4 of us. So I vowed to make a little bit more next time. Creamed corn is so easy and simple that I hadn’t even thought of blogging it until I realized that my daughters didn’t know how to cook it! I suppose I thought that they would just observe me making it (they’ve helped me make it often enough) and learn that way. I hadn’t realized that I never talked them through the steps and ingredients. So this time around, we noted measurements and steps. If you’ve never made creamed corn, then I hope this helps you too. 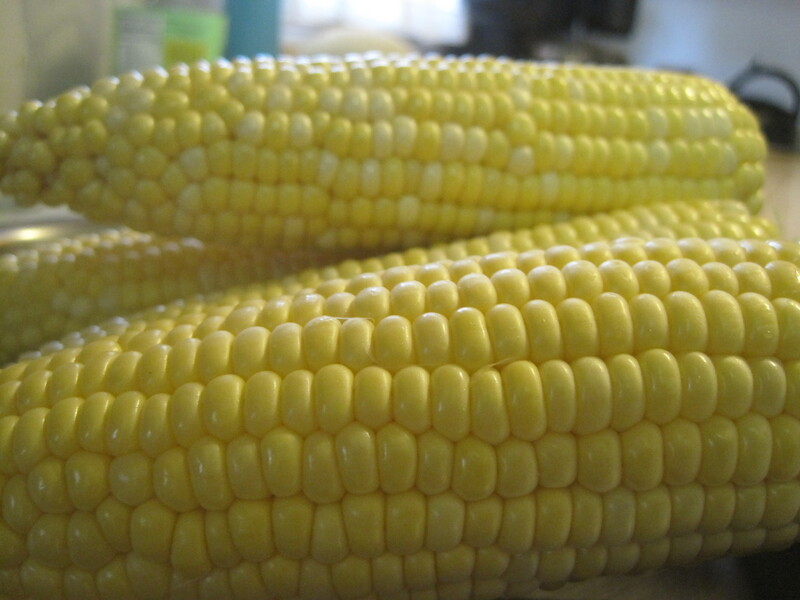 By the way, you can make creamed corn with frozen or canned corn; but I think nothing beats the taste of sweet, juicy, in season corn when you can get it. This is probably the simplest creamed corn recipe you'll find. I have tried additions of spices and variations on thickeners for the cream, but when you have fresh, sweet corn, I believe simplicity is the best way to concentrate the natural flavors. 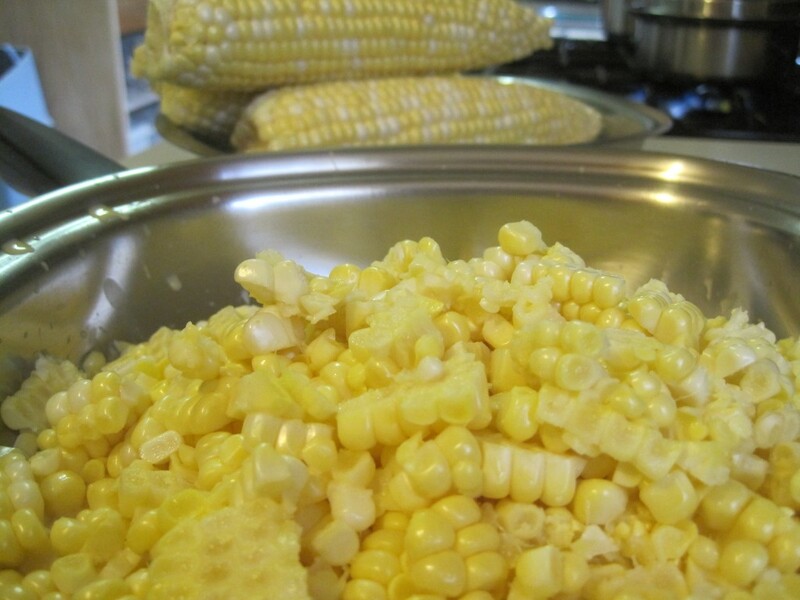 Place the corn in a pan and add the butter on top. In a mixing bowl, combine the milk, cornstarch and salt and mix well. Pour milk mixture over the corn. Cook on low until it comes to a low boil/simmer, about 10-15 minutes. Creamed Corn from Simply Recipes with paprika. Rudy’s Creamed Corn from Blue Bonnets and Brownies has cream cheese added to it! 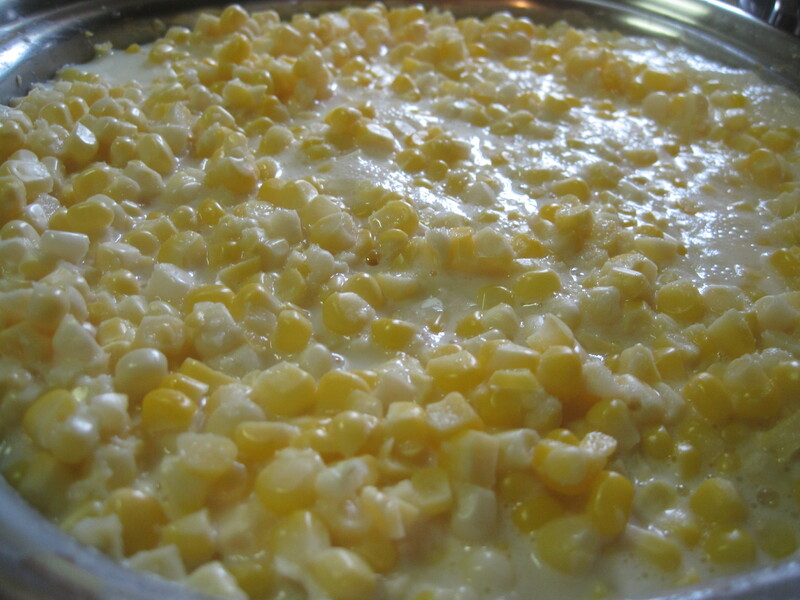 Coconut Creamed Corn from Eating Well for you who cannot take dairy, this is a really good alternative.